Arthur is a prestigious playwright, author, and comedian. Arthur Smith has become one of comedy's elder statesmen: an Edinburgh Fringe stalwart and a club compere since the early days of the alternative scene. As a comedian he has played all over the country, including the Comedy Store, Jongleurs and assorted West End Theatres. His show Arthur Smith Sings Andy Williams played Edinburgh and then the Comic Strip in New York. 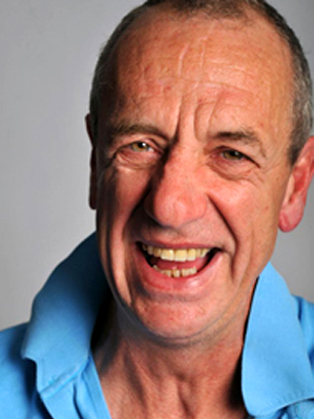 Arthur Smith is a Comedian, Compère and Playwright. He attended the University of East Anglia, where he undertook one of the pioneering creative writing courses under Malcolm Bradbury. In 1977 he stood for Student's Union President on a "don't vote for me" platform, and finished second out of nine candidates. Arthur Smith rose to fame on the alternative comedy circuit in the 1980’s. His comedy is best described as observational with a strong flavour of the absurd, and an expert of the one-liners. Arthur Smith is also an accomplished playwright, his plays include An Evening with Gary Lineker which was nominated for an Olivier Award and made into a TV film, My Summer with Des and The Live Bed Show which had a run in the West End, starring Caroline Quentin and Paul Merton. He is a stalwart of the Edinburgh Fringe Festival with many of his productions transferring to London's West End. In 2005 Arthur turned down a Perrier Award for Lifetime Achievement stating 'They wanted to tell me I was old and cool; well, I know that already, and anyway, my ego is bloated enough'. He remains a regular guest on Loose Ends, Pick of the Week and Grumpy Old Men. Arthur can also be heard narrating the BBC hit programme Life of Grime. As a comedian, Arthuir Smith has played all over the country, including the Comedy Store, Jongleurs and assorted West End theatres.